After getting great response and appreciation in Gurgaon for over six years, Spectra Cuisines Pvt. 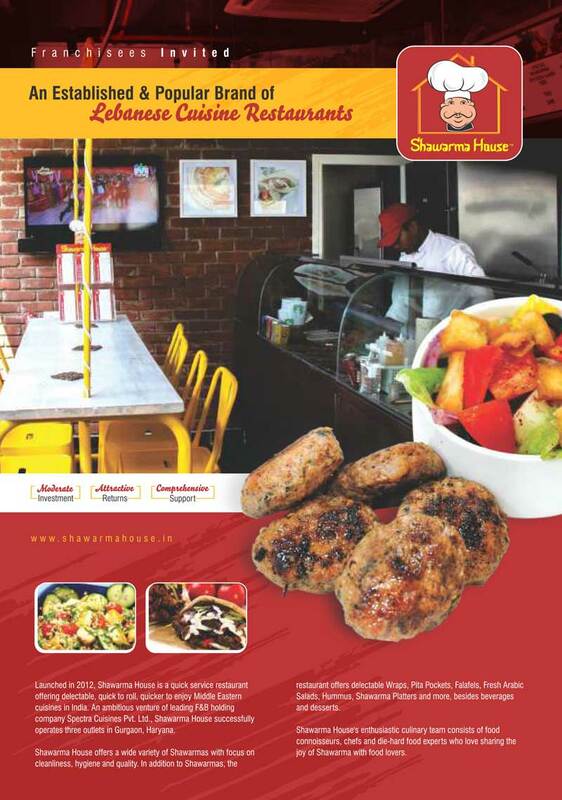 Ltd. is all set to expand Shawarma House, the Lebanese QSR brand through the franchise model. Inspired by authentic flavour combinations, our menu offers a fresh and awesome food experience to our guests. The Outlet will be designed, launched and marketed by the company. 100% percent online and server base system for transparency. Realtime access to sales and other important reports on daily basis. Complete training on Product and Process will be provided by the company. Selection of Complete team with their respective pay-out will be done and decided by the company. Vendor finalizations and the vendor contracts will be managed and done by the company.